with seven nights onboard accommodation, 2 dives per day, all your air fills, breakfast and lunch. or you may prefer to eat out at the various pubs and restaurants. Saturday is our turnaround day where we say good bye to our previous customers. Our new customers are always given a warm and friendly welcome aboard by us. then a self service continental breakfast is provided first thing on the way out. 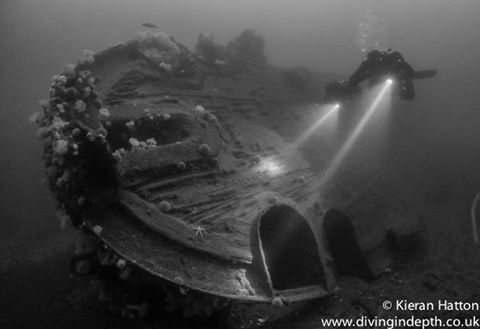 The first dive of the week is usually the Coln a Light Cruiser laying on her starboard side in 35 meters. We will arrive on site ready to dive by around 08.30hrs. We always allow at least two hours between dives. 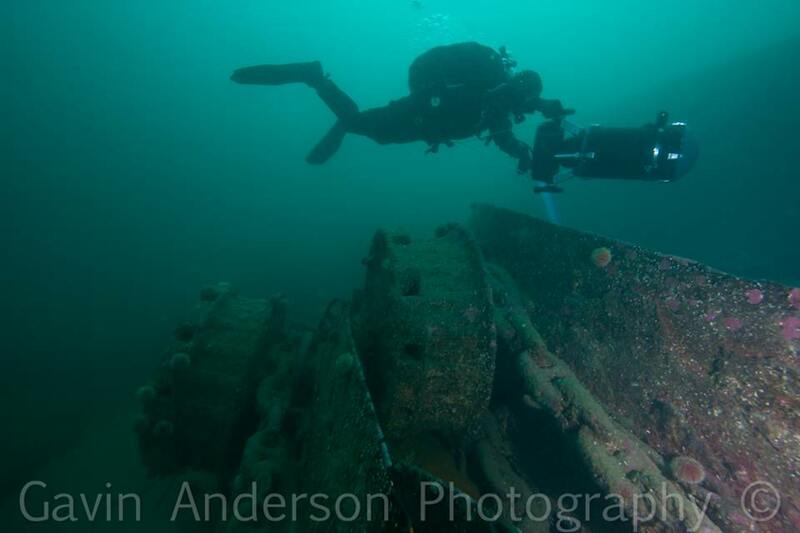 Then off for a second dive on another cruiser. We are usually back in port by around mid afternoon allowing you time to visit some of the famous local attractions. Italian Chapel, Highland Park Distillery, Skara Brae, Masehowe, Ring of Brodgar along with local museums and galleries. three battle ships, followed by a shallower wreck in the afternoon,. Our aim is to give you the very best that Scapa Flow has to offer. 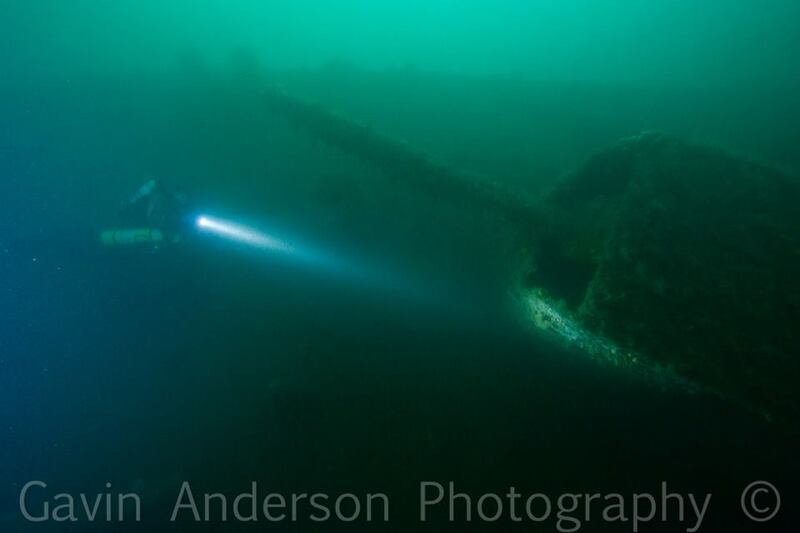 But if your a regular to Scapa and have an itinerary of your own in mind then that's OK with us. The last dive of the week is on Friday afternoon and we are usually back in port for around 1500hrs, giving those catching the 1645hrs ferry on the Friday evening adequate time to board. Divers must depart Invincible by 0900hrs on the Saturday morning to give us time to get ready for our next group arriving on the the midday ferry.